When you do not have a valid California driver's license, your first question is likely, "What do I need to do to get my driver's license?" Many people that do not have a license do not think they can get a their driving privileges reinstated. Trying to navigate through the DMV is complicated and usually leads to disappointment. After seeing so many people having trouble with their driver's license, our traffic law became committed to helping anyone that wants a driver's license to get one. If you do not have a driver's license, do not wait any longer to get help with your licensing problems. Contact our office today and we will immediately begin working on solving the problem to get you back on the road. Many people drive without a license or drive on a suspended license because they do not understand the Court and DMV process. There are numerous reasons for a driver's license suspension or revocation that can be difficult to determine.﻿ Some driver's assume that they cannot receive a driver's license after a drunk driving arrests until after their court appearance. Others may not even know that they are driving without a valid license. 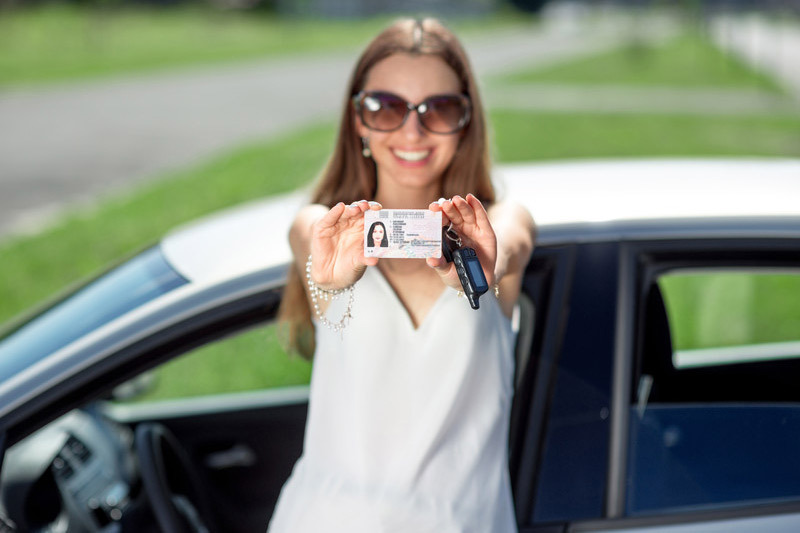 In all these situations, however, it is important to understand that DMV controls whether you are eligible to receive a California driver's license. Our traffic lawyer obtains licenses for many people, even when they do not believe they can obtain a driver’s license. The first step is to check and see if your license is suspended. If so, we will determine the reason for the license suspension in order to learn how to restore your privilege to drive with DMV. Obtaining a license is a long, complicated process when you do not have the correct guidance. We will make sure you are able to get where you need to go as soon as possible, without having to drive with a suspended license. In many cases, driver's do not know the steps it takes to get a driver's license back. Instead, enlist a traffic lawyer that understands DMV and knows the correct steps in restoring your license. We understand you need a license and we will not stop working until you have a license in your hand. If you just received DUI charges in the past few days, you have 10 days to contact DMV in order to receive an administrative hearing. Failing to request a DMV hearing most often results in a suspension or revocation of the driver’s license. You may contact our office and we will fax a DMV request to Driver's Safety on your behalf. If you need to send it immediately, you may complete the DMV Form and fax it to the DMV Driver's Safety Office where you received the drunk driving charges. If a request is made, a stay on your license can be put into effect and the DMV is required to present evidence against you and allow you to present evidence. ﻿If you already have a suspended license because of a DUI, it is crucial you discuss your matter with an experienced attorney immediately. We will attempt to obtain an unrestricted license for you as soon as possible. Sometimes, you may not qualify for a full license, so we will obtain a restricted driver’s license so you may go to work, attend DUI classes, and drive for any medical emergencies. If your driver’s license is suspended or revoked after a DUI, you need to know the steps to take to restore your right to drive. Getting your driving privileges back can often be done with relative ease when you hire an attorney to represent you, and considering the available options, it is clearly your best course of action. Do not drive without a valid license, get legal help instead. We strongly advise you to get legal help in obtaining or restoring your driver’s license, rather than taking any chances by driving without a license or with a suspension. Instead, enlist a traffic lawyer that understands DMV and knows the correct steps in restoring your license. We understand you need a license and we will not stop working until you have a license in your hand. At the Law Offices of Tina M. Barberi, PC, we are experienced in handling suspended license issues, and can help you restore your license even if you do not believe you can obtain it. Our office is committed to help you obtain your driver's license as soon as possible. If you already have a suspended license, contact us and we will get you started on the right path to remove the suspension or revocation in order for you to obtain a driver's license. Our office will work to obtain your California driver’s license, so call us now!